Sticky new twist on dodgeball and tag! 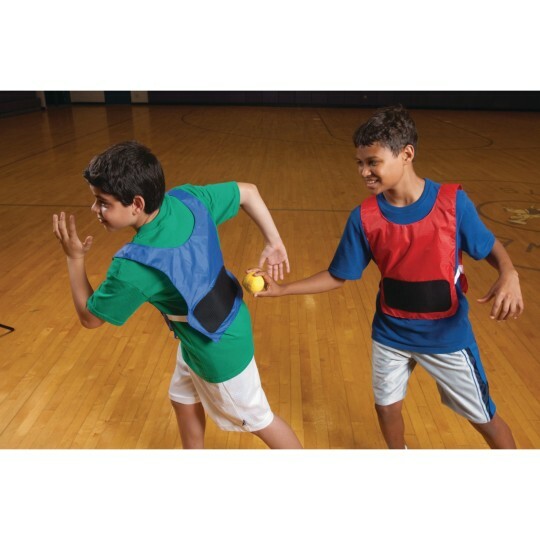 Toss or tag sticky balls onto other players' vests. Play dodgeball, tag or create your own games! Pack includes 12 youth nylon vests (6 red, 6 blue). You'll also receive 24 of our sticky balls. A sticky new twist on the playground favorites Dodgeball and Tag! 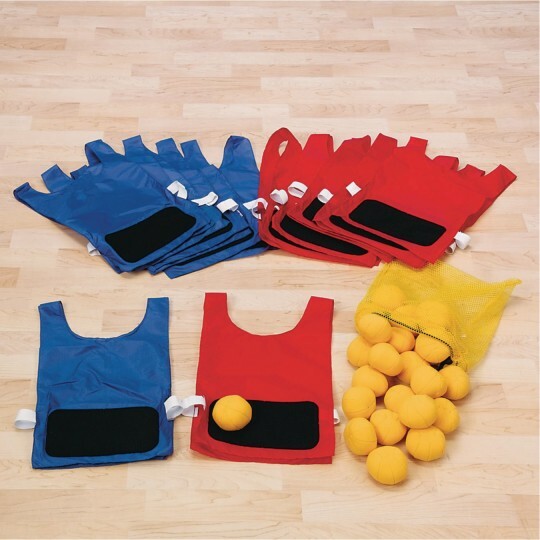 Players can toss or "tag" small, soft and lightweight fabric sticky balls onto other players' vests. Play dodgeball, tag or create your own high energy games! The pack includes 12 youth nylon vests (6 red, 6 blue), each featuring a large "sticky" hook-and-loop panel sewn on the front and back, plus 24 of our sticky balls. Vests can also be used as classic pinnies/scrimmage vests. Youth size vests are recommended for ages 12 and under. Additional sticky balls are sold under W10015. We love to play this game at family get togethers. 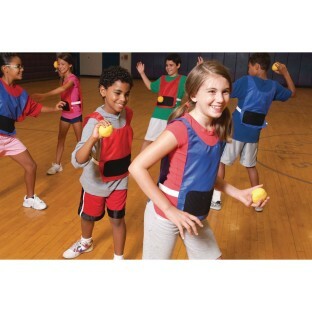 While the little ones aren't always skilled they love putting on the vests running around and throwing the balls. The older family members get quite competitive. Bought this for my business but had a test run with my kids and their friends at a cookout. Children were ages 6-10. Several of the balls came apart at the seems after the first 15 minutes of play. S$S did replace the balls free of charge which was very nice. We have not used them since receiving the replacements. My son and his friends LOVED this at his birthday party! Big success! !